Both MB Conveyors-Speed Up Racing team’s riders finished the Michelin Australian Motorcycle Grand Prix finishes in the points in tenth and fifteenth place. 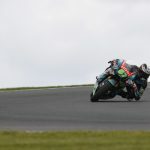 When the lights went off Quartararo, who started from the sixth position on the grid, lost six positions in the busy opening laps as all riders where vying for a place at the front of the rider field. The feeling with the bike is not the same as in the weekend sessions, but Fabio tried to recover positions fighting back not to lose the top ten. 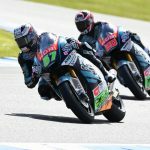 At the end of the twenty-five laps, Quartararo got the better of Bagnaia and Oliveira and closed the race in tenth position. 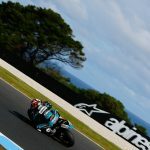 In his third race riding a Speed Up bike, Edgar Pons finished the Australian Grand Prix in fifteenth position. 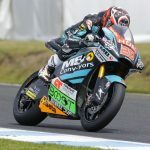 It is on the Phillip Island circuit that the Spanish rider confirms the excellent progress achieved only three races since his arrival in Speed Up. Also Pons’ start was difficult as he lost four positions. At the end of the first lap the Spaniard is twenty-fifth, but already from the second lap his pace increased and began to shorten the distances and to recover positions ending fifteenth the race.